Is the Dockatot Grand or Dockatot Deluxe worth it? The number one question I get when someone has a new baby is whether I also get asked whether or not it helped my baby sleep better at night. I decided to write up another review to compare both the Dockatot Deluxe and the Dockatot Grand and show you it is Worth it. You can also check out my review on the Dockatot Deluxe here. This post contains affiliate links. Please see my disclosure at the end of the post. 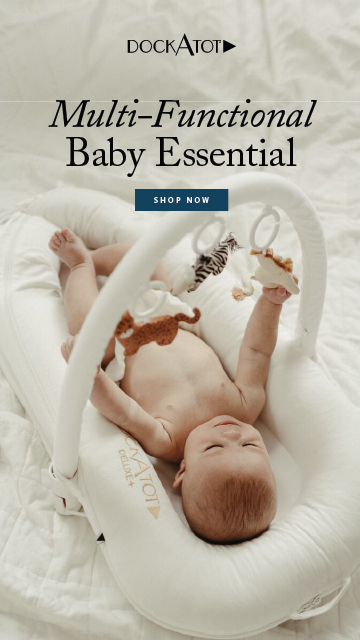 When we first got the Dockatot Deluxe around the time Musa was 6 weeks, I really didn’t know what to expect. We had dealt with weeks of colic and sleep issues and I needed something that would help him sleep well. I was overly exhausted, miserable and just gave up on how to help him. So we used the Ollie World Swaddle and put him in the Dockatot and I kid you not he was out for more than an hour! This was a miracle because he would not sleep unless I held him. We used the Deluxe for him till he was 8 months old (he had outgrown it by 7 months because of his height). It was great as a docking station anywhere in the house, he rested, played, lounged and also did tummy time at the tip of cushion which was pretty cool. Check out pictures of him using it in this post. Other than sleep, tummy time was his favorite in the Dockatot Deluxe. It was so lightweight and easy to move around the house and something we could take with us everywhere if he needed to sleep (especially when spending the day at Grandma’s or Grandpa’s). This baby is huge, I underestimated how large this was and when we got it. I was pleasantly surprised to see how it almost fit the whole crib. I immediately threw away our crib bumpers! The benefit of using the Dockatot Grand in the Crib means your baby will not be moving around the whole crib bumping their head. My kids are movers in their sleep so this was a big issue for me. To date, it sounds like my toddlers are having a fight in their beds. No matter how much I try to cushion the sides of their bed they still move. My son still seems comfortably snug in this. Even though he moves around, there is still cushion protecting him. Also, the cushion gives him a feeling of being held or being close to something soft. Even though the Dockatot Grand is so large, it is still super lightweight and mobile. You can move it around the house, take it with you to the beach or travel with it. It comes with a protective packaging which you can use to take it out or travel with. We use it to lounge as it gives baby a place to sit with a little backrest. If your baby isn’t sitting by 9 months, it’s still a great place to allow them to lay down to relax. Our Deluxe was 18 inches wide x 24-30 inches long (24 inches with buckles closed and 30 inches with buckles open). You probably are like this is great but why would I spend that much money on a cushion? 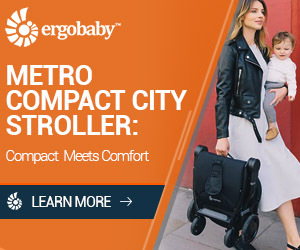 If you can’t afford it, add it to your baby registry! The biggest game-changer for us was having something we could move around the house. There have been times that I had to sleep in a different room or work through the night. Having the Dockatot was such a lifesaver on those days and still is. 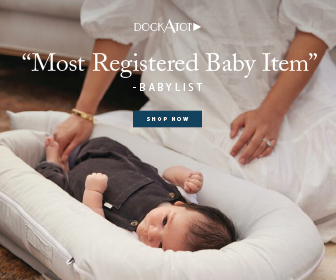 So is the Dockatot Worth it? What do you think? It has been a game changer for us and makes me wish we had it for all our babies. Dockatot has some amazing new colors in their new release which you can check out here. Want to Know How to Manage Your Daughters Soft Curls? We have used both with my youngest and are huge fans! We loved both sizes of the Dock A Tot for our youngest! Us too! Thank God for it! It’s very cute and I can see how it would definitely be worth it! I already like it more than what we ended up using, that’s for sure!